Since last year, passengers on the London Underground have been able to browse the web and check emails thanks to the introduction of Wi-Fi at around 100 stations on the network, but a new report says they should be given mobile phone coverage, too. Calling All Stations, launched last month by London Assembly Member Gareth Bacon, questions why the Tube continues to have no coverage when the technology is clearly there. 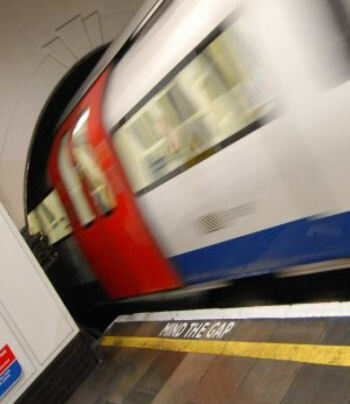 The Tube Wi-Fi service has proved popular, with more than one million people using it since its introduction, but connectivity remains limited to stations and not tunnels, while it is still not possible to make phone calls or send texts. Of the ten largest underground networks in the world, the tube is the only one without at least some form of mobile phone connectivity on some underground platforms. Even the UK’s other two systems, the Glasgow Subway and Tyne and Wear Metro, have mobile connectivity, although these are much smaller networks with fewer tunnels. Calling All Stations states that mobile connectivity is no longer a simple convenience, but a requirement for a growth-driven and competitive modern city. Commuters are not able to conduct business on the move and, without mobile phone coverage, London risks being left behind by other cities and missing out on a range of benefits for both the city and its transport network, it argues. TfL maintains that the Wi-Fi network is adequate for passengers’ needs and that it has proved “immensely popular”. However, the service is only available to Virgin Media, Vodafone and EE customers without incurring additional charges. It told TechWeekEurope that although it supported the idea of mobile rollout on the Tube “in principle”, any project should not come at the expense of taxpayers or fare payers and that major UK phone operators had so far been unable to come up with a self-financing solution for voice calls in the deep tube. “It is this investment that will maintain London’s position as the engine of the UK economy,” TfL claimed. Poll: What Do You Think Of Phones Going Down The Tube?